Skylake is here and it’s time for Intel’s Moore’s Law evolution, or is it? 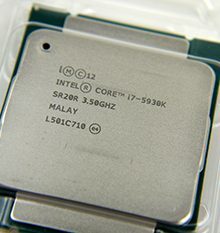 Last year Intel released their high end desktop CPU’s in the shape of the Intel Core™ i7-5820K, i7-5930K and the i7-5960X Extreme Edition. They haven’t been replaced and are still very strong, so should you overlook the Haswell-E?